Pet Travel Book Club: Following Atticus | Will My Dog Hate Me? We’re going to be discussing a terrific book, Following Atticus by Tom Ryan . The write ups — yes, plural — and questions are by a terrific reviewer, my friend Rebecca Boren, a freelance writer in Tucson who was a senior editor at Seattle Weekly and chief political reporter at the Seattle Post-Intelligencer. And who was Frankie’s rescuer. In addition to the review here, she is discussing the book from a more literary and personal/somewhat less dog oriented perspective at A Traveler’s Library: Hiking with Atticus. There are prizes: A signed copy of Following Atticus and an unsigned copy. Here’s how the prizes work: Anyone who comments on either blog gets a chance to win the book (first prize being the signed book, second the unsigned book), chosen by the Randomizer. Anyone who comments on both blogs gets two chances. The only thing I ask is that the comments on each blog be different. Haven’t read the book yet or finished it? No worries. We’re not strict here. You’ve got lots of choices on how to comment. You can: a) answer one of the questions that Rebecca poses; b) tell me what you do or don’t like about the book; c) provide a question for me to ask Tom Ryan, whom I will be interviewing (I’ll post a podcast here and on Animal Cafe). You have until midnight, December 9, EST to comment so you can get the book in time to give it as a gift. One more thing: I’m paying for postage on the signed copy so I’m afraid I can only afford to send it within the U.S. But the publisher is sending the unsigned copy from their offices, so no limitations there. Tom didn’t want a dog, not when as the owner, editor and sole employee of a muckraking alternative newspaper he was overworked, financially overextended, and teetering on the edge of a nervous breakdown. And he especially didn’t want a “little yapper,” the only idea he had of minis from online pictures. No, he dreamed of owning a regal black Lab. Of course, man and dog bond within a day: “He was rough around the edges, much like me, but he was real and I loved him.” The rechristened Maxwell Garrison Gillis settles into enjoying the life every dog should have, one of walks and treats and a loving community. After Maxwell dies, Tom decides he needs another miniature schnauzer, having fallen in love with the breed. He eventually settles on the 8-week-old Atticus, bred in the hills of Louisiana, the one dog out of many prospects who looks like he doesn’t give a damn about posing for puppy pictures taken to show possible buyers. Following the advice of his breeder, Ryan carries Atticus everywhere for the first month they are together, then two months. Little Atticus grows up to be an honored citizen of Newburyport, a dog who, leashless, makes the rounds of local homes and businesses collecting treats from newspaper subscribers and meatballs from his favorite Italian restaurant. All that is entertaining – no one who has ever raised a puppy should miss Ryan’s experience with attempting to crate train a very determined little poopster – but still another prologue to the main quest. Actually, two quests. First, came the “Winter Quest for the Cure,” in which Tom and Atticus sought to honor a recently deceased friend and raise money for cancer research by climbing all 48 4,000-foot-plus peaks in the White Mountains during one calendar winter – twice. Supporters would donate and designate a peak in the name of a loved one who had battled cancer. The climb of 96 peaks in 90 days was an incredibly ambitious undertaking. Only one person – and no dog – had ever accomplished the feat of climbing all the 4,000 footers twice in a single winter. Fewer than 350 humans (and one dog before the venture was ruled too dangerous) had climbed all 48 during the winter months, over any number of years. One year and a bout of sight-restoring cataract surgery for Atticus later, they tried it again, this time to raise money for veterinary research. Ryan may gave been a fearless journalist, but other terrors made up for it. This was a middle-aged man so afraid of heights that standing on a ladder to change a light bulb made him dizzy, someone who slept with a nightlight until well into adulthood and still panicked when things went bump in the night. Despite his dreams of rebuilding a relationship with his abusive father and of finding the love and comfort of family, he went years without speaking to father or eight siblings. Atticus loves the mountains from the start, and takes to climbing like some sort of 20-pound floppy-eared mountain goat. “As far as he was concerned, we kept going up until there was no more up.” On top, the “Little Buddha” gazed at the views and meditated – Tom once times him at 45 minutes before his human interrupted. Obviously, “little yappers” aren’t supposed to climb mountains – particularly not in winter. Some of the book’s funniest moments involve encounters with Manly Men who openly guffaw at the fat man and Muttluk-wearing little dog out in the wilderness—until little dog motors past them on a mountaintop. Tom skipped any kind of formal training with Atticus. He writes, “There were few rules, but they were important ones…Atticus was allowed to do whatever he wanted so long as he was not endangering himself or other people, he showed respect for my possessions, and he didn’t bother other people.” (p.31). Do you think formal training is necessary for responsible dog ownership? In one of the most wrenching sections of the book, Atticus goes blind from cataracts and Tom does not have the $4,000 needed for surgery. Nonetheless he is determined to restore Atticus’s sight. Have you ever had to make a decision about your dog’s health based on money? Tom did not want Max, or even know what a miniature schnauzer was, and was horrified to find himself collecting an elderly and tottering “little yapper.” But he fell for the renamed Maxwell Garrison Gillis the first day they were together. Have you ever wound up with a dog you didn’t particularly want? What happened between you? Coming next month: Dog Walks Man, by John Zeaman. In some ways, it’s similar to Following Atticus: both authors admire the Transcendentalists, especially Thoreau, and wax philosophical on their surroundings. In other ways, it’s very different, as Zeaman ponders his opposite-of-transcendent neighborhood, the Meadowlands of New Jersey. And his dog isn’t especially heroic — or even, in some ways, central to the story. But Zeaman is a wonderful writer and has an artist’s way of looking at things. And have I got a deal for you: A chance to purchase signed copies of the paperback and the hardcover editions at a discount, including shipping charges. To order a signed copy of Dog Walks Man directly from the publisher, contact Amy Alexander at 203.458.4541 or e-mail Amy.Alexander at globepequot.com. Signed hardcovers are $20, signed paperbacks are $15, and prices include tax and shipping. I’ll break the ice here, even though I’m not eligible for any prizes. Rebecca knows well whereof she speaks when it comes to the words “I’ll take him.” That’s how I came to get Frankie, my not-quite-schnauzer, from her, with lots of ambivalence on my end. I guess anyone who comes here knows how it worked out. Though the two of us haven’t done anything heroic, Frankie definitely changed my life. Hi Rebecca. Being the owner of two “small yappers” that hike myself, I was immediately drawn to this book. Like Tom, I also never did, or do, put limits on what my weiner dogs can do. I hike where my passion leads and I let them tell me how far they want to go. I have been doing this for 9 years with them but they still surprise me with their enthusiasm and capabilities. In answer to your first question, no, I don’t think formal training is necessary to raise a well behaved dog and to be a responsible dog owner. I have had Chester since he was a baby and, despite my best intentions, we never made it to one obedience class. I was somewhat inexperienced and I didn’t have a well thought out plan to train him on my own. I did know that dogs need a lot of socialization and that you need to make your expectations of them clear and consistent. He may not know the standard “dog commands” taught in a class but he knows enough to be a good doggie citizen and be safe. He knows to stop if he is heading towards a dangerous situation and I yell “wait!”. I get comments all of the time about how people think he is unusually calm and friendly for a Dachshund. He can sit and roll over. Where he has limitations I am aware and take responsible measures to mitigate. For example, I know he may not always come when I call him so I keep him on a leash at all times. That way it is not ever an issue. I certainly consider that I am a responsible dog owner. Three years ago, we were coming home from our dog’s morning stroll when we found a stray German Shepherd hiding behind a dumpster in our cul-du-sac. We searched for his family, put up posters and contacted the shelters, but no one was looking for him. Some part of me knew he was meant to be with us – despite my husband’s protests. He was a 75 pound tornado on a leash, ran around our new home like it was a barn, and wasn’t house or crate trained. We named him Buster and he’s the best thing that ever happened to us. It wasn’t long before we figured out how difficult it was to travel with our two dogs. Buster was breaking weight restrictions left and right, and the “cleaning fees” imposed on dog friendly rooms was ridiculous. We decided to launch a website to make it easier for people to travel with their pets, and GoPetFriendly.com was born. We’ve since embarked on a new life, sold the house and are traveling full-time in our Winnebago – searching the country for more pet friendly locations to add to the website. And we owe it all to Buster. 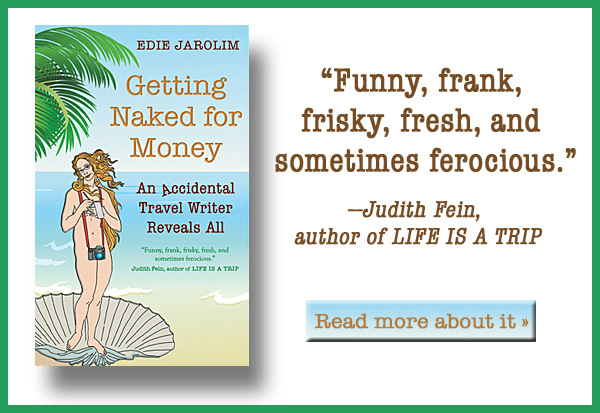 As the author and Edie know, the dog you didn’t want can be the one that changes your life. I read “Following Atticus” in about 3 days and absolutely fell in love with Atticus and greatly admired their relationship. I recommend it to everyone -whether you’re a dog person or not. And being a dog person (and owner) I did have to make a decision about my dog’s health based on money … and decided I would do whatever I had to do to fix the problem. Wonderful book, and a wonderful review as well by Rebecca. Since the book was launched in this book-club, I read it twice. And the first time I couldn’t stop reading until I finished it. Tom Ryan starts out as many of us dog-lovers, ignorant of dogs, ignorant of what they need and of what they give. There was a point while reading I was genuinely worrying if it would turn out alright. Carrying a puppy around on your arm for socialization? Off-leash at all times? Maybe, Tom was lucky it was Atticus with his special and independent nature that came to live with him. With another dog it might not have turned out that positive. But Tom showed us another side as well. He was genuinely committed in Atticus becoming the dog that Atticus wanted to be, and not the average expectation of what a dog should behave like in the midst of men. Where “we” sometimes get lost in what is expected it was refreshing to read his persistence on letting Atticus make his own choices on what he wanted to develop and explore. A hilarious episode was when Tom met the dog trainer asking what kind of training Tom put Atticus through and he told her they just hang out together: “this did not sit well with her. She sized me up as a rube and gave me a look that fell halfway between pity and a scold”. Here Tom gave me a great lesson. As I also think Kenzo and Viva (my dogs) spirit’s and needs should always be in the center. Tom acted upon it I have to admit: I only thought I did. Viva loved the wetlands on the Danish Island we visited in summer. I knew Viva gave me a clue, but I have not acted upon it yet. I think reading “Following Atticus” is exactly the push I needed to take that a lot more serious. Wonderful review. Thank you Rebecca. As for the questions: 1) Yes, for the most part, 2) Fortunately, not yet, 3) Yes. Five plus years later Sadie is at the center of my life. The first year or so was hell. I felt completely overwhelmed by Sadie’s fears and phobias. We’ve come a long way. I don’t think you need formal training to be a responsible dog owner. But you do need a willingness to learn. I brought Cupid home and became a thirty-something first time dog owner. And knew very, very little about dogs when I did. But I had a friend to help me get through the rough times and a desire to be the best dog mom I could be. I think I’ve done pretty good, although there’s always room for improvement. I really enjoyed the mountain parts of the story. 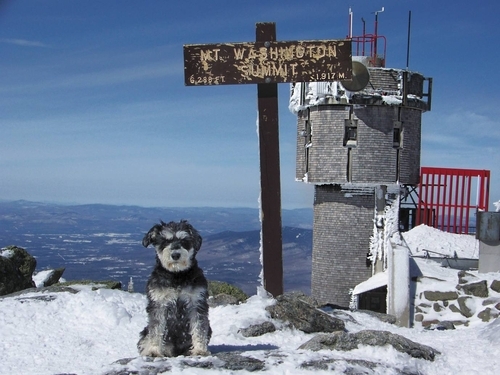 I loved the story of the hikers who said Atticus looked like he was wearing pyjamas and slippers and then the little dog in “pyjamas and slippers” made it to the summit when they didn’t. The relationship between Tom and Atticus is so touching. I love how Tom would figure out what Atticus wanted/needed and then see that he got it. What a lucky dog! What a lucky human! I adopted my miniature schnauzer, Moose (a big name for his big personality) from a rescue leauge in May. He is my first dog, and to be honest before Moose I knew nothing about dogs. After entering my first year of law school, living on my own, away from friends and family, I became very lonely and depressed with nothing by school to focus on. Then my childhood dream of having a dog came to surface, since fianlly I lived ina building which allowed dogs. There started my search for my perfect best friend. You may want to know why did I choose a schnauzer out of allthe breeds. Well 1- I am horrible allergies and am actually allergic to dogs, so hypoallerenic breed it is, 2- I currently live in an apartment so a smaller dog would do better, 3-I wanted a dog that I could train. Searching on petfinder for the perfect rescue dog brought my attention to this small puppy (named elvis at the time), just 9 weeks old. I knew it the moment I saw the little guy in pictures that I had just stumbled upon my new best friend. From there I compelted the adoption paperwork, read every puppy book and dog book I coudl get my hands on instead of studying for finals, and on the day of my last final I drove to MA to pick him up. He had traveled all the way from TX through a local resuce here in NH after being abandoned by his previous owners. As I was putting Moose in his crate for his car ride back home to NH I told him he would never be without a home from this moment forward, that together we would always have a home. These last 7 months have beent he best of my life. Becuase of Moose i have gotten involved in a local rescue animal leave, and we will be taking in our first foster this holiday season. In regards to your question of formal training, I do not bleive formal training is necessary, but training is. I did compelte a 6 week (1 a week) course of trainign with a great local trainor on NH seacoast this summer with Moose for the basic commands, which i have to say Moose compelted in 2 classes. But the training was not for Moose, really the training was for me. I needed to learn how to claim the domiant pack memeber so that Moose would then listen. I took Moose everywhere with me, and he was socialized with children, the elery, those in wheelchairs, cats, dogs, etc. Moose learned to travel at a young age, and was exposed to many new things. This I feel is the most important, socilize your puppy at a very young age and always give your dog plently of exercise. that truly I beleive is better then any formal training. Reading your reactions is such fun! Jessica, I wish I were more tech-savvy, because I just found a picture of me hiking Mt. Si, which you reference in your post. I don’t know how to send it, but I will note that the friend I was with looks a lot less happy than your weiner dogs do! And he wasn’t even on a leash! I realized after I wrote the discussion questions that all three of my current dogs are ‘accidentals’ — including the pointer I only took because the Humane Society said they were going to kill her that day if I didn’t. (She was supposed to have ringworm which is highly contagious.) Another evening I got a call from my groomer saying she had just confiscated a dog (he was being beaten with a golf club by an 8 year old) and would groom and deliver him in the morning! And that’s how I got my dachsorgi, Bandit. I loved him instantly (he’s snoozing at my feet right now); Miriam, the pointer, took longer (she’s currently asleep under the covers on the bed — it’s a cold day for southern Arizona), but she’s sure mine now. I don’t think dogs are interchangeable, at all, But surely they are all uniquely loveable? Okay, all but the occasional monster dog? Rebecca – I would love to see your picture. You can find my email on the contact page of my blog. You should be able to select “attach file” in your email and browse your computer for the photo. I’ll try photo . Meanwhile being just an innocent guest reviewer I think it’s ok for me to lobby folks to join the discussion , ask a question, or just say hey to get your chance to win an autographed copy of Following Atticus. This contest or ordering from a single bookstore in NH are about the only ways to get an inscribed copy for Christmas. And I really did buy five copies – 4 signed- myself Fabu Christmas gift! I can’t wait to read this one! When you interview Tom, I’d be interested to hear more about his different relationships with Max and Atticus, particularly how he thinks having Max either prepared or didn’t prepare him for his very active life with Atticus. He obviously fell in love with the breed after Max – so was he surprised by differences between the two pups or did he notice a lot of similarities? This book sounds like the story of my life LOL I’ll have to check it out. Thanks for sharing! Picked this book as my local bookclub’s read for January 2012. In March of 2011, our family adopted from the pound a little dog named Smiley, and I thought a book with a dog theme would be perfect. Just as our family found Smiley to be perfect for us, I can understand the owner’s satisfaction with the new little friend in his life. How much fuller a little creature in spite of no words, can make our lives. Loved reading the amazing journey of Atticus and Tom.